Can fitness tracking devices lower your health care costs? Greg Madden isn’t the man he used to be. 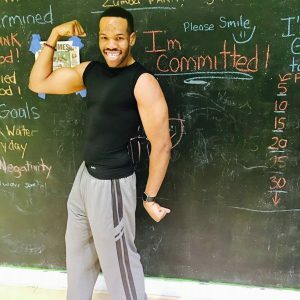 In 2016, the 23-year-old Homewood, Ill., resident embarked on a fitness journey that would turn him into the kind of “health nut” he once mocked. Since June, he’s lost 75 pounds, down from a high of 280. Madden credits his success to a rigorous diet and exercise regimen. But he also had a tool to help him stay motivated: his Fitbit Blaze, a watch that tracks heart rate and physical activity. “It’s become a part of my everyday regime to the point where I never leave the house without it,” Madden said. Though Madden is skeptical about the accuracy of his Fitbit, he says that seeing his step count or heart rate motivates him to work harder at the gym and move around more at his job in an engineering firm. Employers and health care companies are wondering if they can harness the power of wearable fitness trackers to help consumers replicate Madden’s success. Companies hope that motivating users to exercise will help drive down long-term health care costs. UnitedHealth Group Inc., the largest health insurance company in the United States, announced a partnership with Fitbit Inc. in January. The Fitbit Charge 2 is the latest fitness tracking device to be integrated into the UnitedHealth Motion rewards program. Program enrollees can earn up to $4 a day, or about $1,500 a year, in Health Savings Account or Health Reimbursement Account credits if they hit designated activity goals. UnitedHealth customers have earned more than $255 million in incentives for healthy behavior, said UnitedHealth President David Wichmann in a conference call with investors on Tuesday. Furthermore, increasing physical activity may drive down health care costs long term, UnitedHealth stated in a press release accompanying the announcement of the Fitbit partnership. People who walk 10,000 steps a day will use less than $5,000 in health care services annually, compared with $12,000 annually for people who walk less than 2,000 steps a day, according to a 2014 study conducted for UnitedHealth by research firm Savvy Sherpa. The announcement of UnitedHealth’s partnership with Fitbit comes amid turbulent times for the fitness company, which posted disappointing third quarter earnings in November. Though Fitbit reported a 23 percent revenue increase, a 43 percent decline in profit and a shortfall from projected holiday sales led to a 33 percent drop in the company’s stock the day following its earnings release. These results may suggest that consumers are turning away from activity tracking devices, which some experts say may not lead to long-term weight loss. Researchers at the University of Pittsburgh found that adults using wearable fitness tracking devices in addition to dieting and exercising lost an average of about 7.7 pounds over the course of two years. But adults who did not use such a device lost about 13 pounds over the same period of time. Studies have also shown that many fitness tracking devices end up abandoned shortly after they’re purchased. A third of adults who own a fitness tracker stop using the device after six months, according to research firm Endeavor Partners. “People tend to get them and are excited about them up front because it’s something new, but the longevity and use of that declines over time,” said Pam Mortenson, executive vice president at Health Advocate Solutions. But financial incentives, such as earning credits towards future health care expenses, may motivate people to use their fitness tracking devices more consistently, she added. While it’s too early to tell if wearable technology can drive down health care costs for the general population, some devices can benefit patients managing chronic conditions such as diabetes or high blood pressure, Mortenson said. Chronic conditions account for 86 percent of annual health care spending in the United States, according to the Centers for Disease Control. Annual health care spending came to more than $3 trillion in 2015, the CDC reported. For all patients using health data tracking devices, technology can’t replace the value of person-to-person communication. It’s important to have a health care professional or fitness coach to interpret the data that’s being collected, said Colin Roberts, vice president of product strategy for West Corp.
For Greg Madden, Roberts’ observation has certainly held true. Though he likes his Fitbit, the real secret ingredient to his weight loss has been his fitness coach, who sends him activity challenges through the Fitbit app and helps him analyze the data he’s collecting.